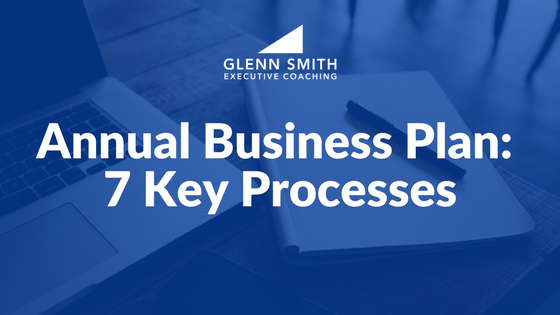 Your annual business growth plan is critical to the consistent, healthy growth of your business. I hope you will overcome the barriers and go into the new year with a solid plan for growth. I have already identified the 3 Parts of an Annual Business Growth Plan. They are: Your Marketing Plan (with particular focus on your Marketing Calendar), Your Budget (or Financial Plan), and Your Organizational Improvement Plan. Here I want to look more closely at Your Organizational Improvement Plan. 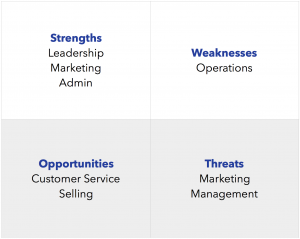 Strengths – These are your current or past year internal areas of strength. 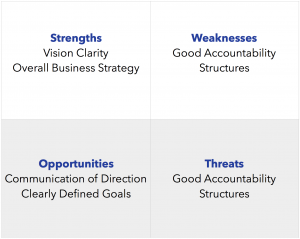 Weaknesses – These are your current or past year internal areas of weakness that needs to be improved. Opportunities – These are external possibilities that you see for the coming year. Threats – These are potential external threats to your growth and success in the coming year. Leadership – vision clarity, communication of direction, overall business strategy, clearly defined goals, good accountability structures. 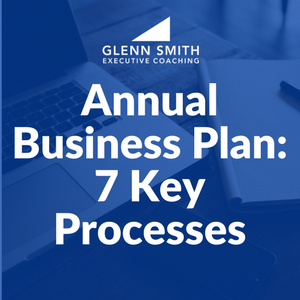 Once you complete your analysis of the 7 key processes, set some goals for the coming year. You may want to set 2 or 3 goals for each area or set 5-7 overall goals. However you approach this, be sure to write specific, measurable goal statements and share them with your team. If possible, assign a “Champion” to each goal. After you write your goals determine the specific action steps you will need to take to achieve each goal. Assign a deadline for each action step and assign a person to be responsible for each action step. Once your finished, you have completed your Organizational Improvement Plan. Be sure to review all 3 of the annual plan components, Your Marketing Plan, Your Budget, and Your Organizational Improvement Plan, to make sure they are all in alignment. Plan a time to review this either once a week or once a month. Now, take action and watch your business grow! An annual business plan has 3 parts: a marketing plan, a budget or financial plan, and an organizational improvement plan, which is what we focus on here. Need to get more info on the business plan.